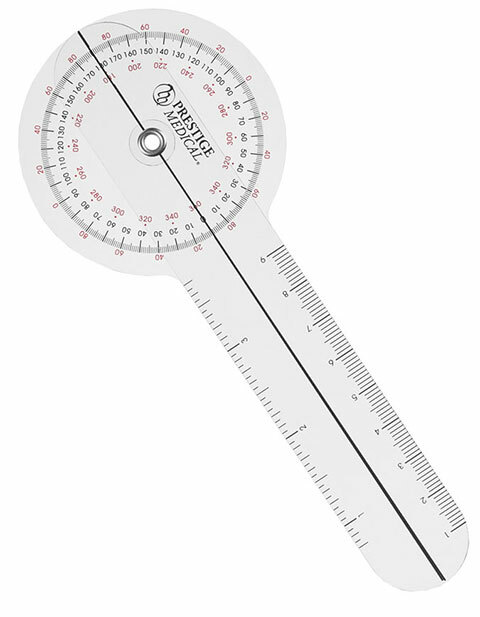 Prestige presents this protractor goniometer which is designed to measure the range of motion in a patient's joints. Measures a full 360 degree range in single degree increments. Text is large and easy to read. Conforms to ISOM standards. Made of heavy-gauge clear plastic for greater durability. It is 6 inches long.